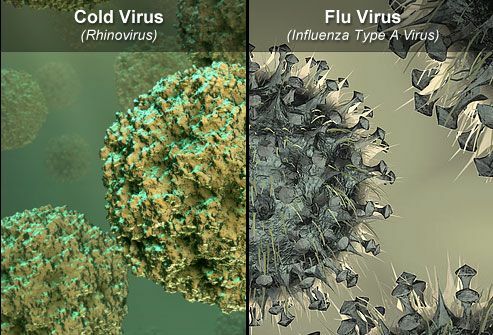 Cold vs. the Flu: Does It Matter? Over-the-counter drugs and chicken soup help both, right? Not so fast. It's important to learn which kind of illness you're dealing with. That's because the flu can have serious complications, like the lung infection pneumonia. It can even be deadly. Flu treatments work best within 48 hours of the time symptoms start. 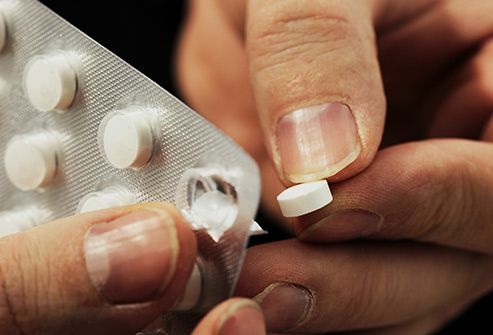 Prescription antiviral drugs may cut the time you're sick. If you feel like you've been hit by a truck, it's probably the flu. Symptoms like sore throat, fever, headache, muscle aches, congestion, and cough tend to come on suddenly. Colds are usually less intense and include a runny or stuffy nose. The flu gets better over 2 to 5 days, but you might feel run-down for a week or longer. Colds come on slowly and last up to 10 days. 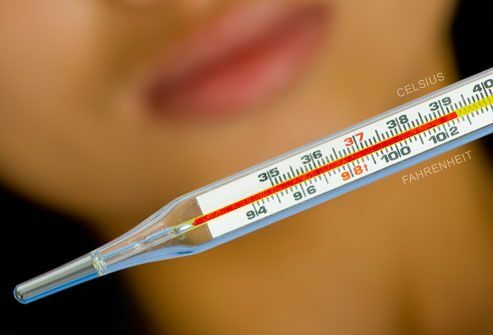 While some people may get a slight fever when they have a cold, most don’t. If you have the flu, you’ll probably run a temperature of 100-104 F. Children's flu fevers tend to be higher. 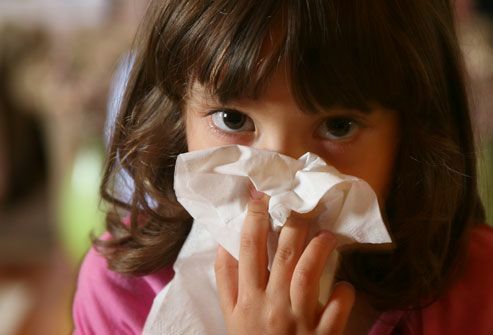 Kids may also be more likely to have a fever with the common cold. You likely start off feeling extremely tired and achy all over. 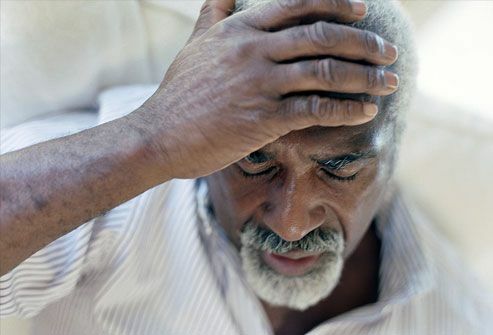 That fatigue and weakness may last for up to 3 weeks -- or even longer in seniors and people with long-term (chronic) diseases or a weak immune system. With a cold, you usually feel bad for just a few days. Still, a headache that comes along with a cold, like other symptoms that result from the virus, tends to be milder than one caused by flu. 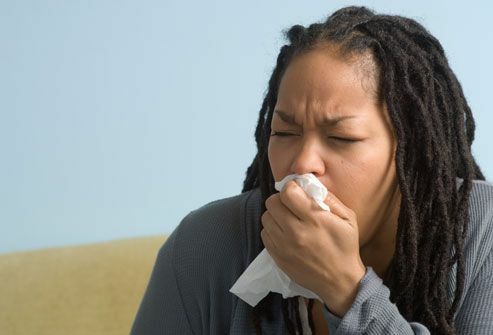 Colds and flu are respiratory illnesses, which affect your airways, so both can cause coughing. Pneumonia is a lung infection that can be a complication of the flu. Call your doctor if you have a persistent cough, fever higher than 102 F and chills, a hard time breathing, shortness of breath, or chest pain when you cough. Congestion from either ailment can make your ear pressure rise. This affects the eustachian tube, which connects your throat to your middle ear. 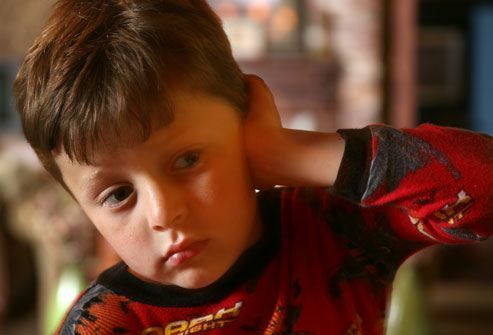 It can cause a dull ear pain, hearing loss, and the sensation of “popping” in your ears. It usually goes away with your other symptoms. See your doctor if the earache lasts longer than your sickness or you feel sudden, strong pain. You may have an ear infection that needs treatment. This early symptom tends to last for 1 to 2 days. A runny and stuffy nose is also common. Sore throats come with the flu, too. But if you have it, you’ll probably be tired and have other symptoms that come on all at once. Unless you're also feverish, very achy, and just plain zapped of energy, you likely have a cold -- although many people with the flu also say they have a stuffy nose and sneezing. Both colds and the flu can lead to sinus infections. In addition to thick yellow or green nasal discharge, sinus infections can cause headaches and pain in the forehead, cheeks, and nasal bridge. The pain usually gets worse with sudden head movement or strain. Sometimes, you can get a secondary bacterial infection that needs antibiotic treatment. The quickest and best way to know which illness you have is to get a test at your doctor's office. 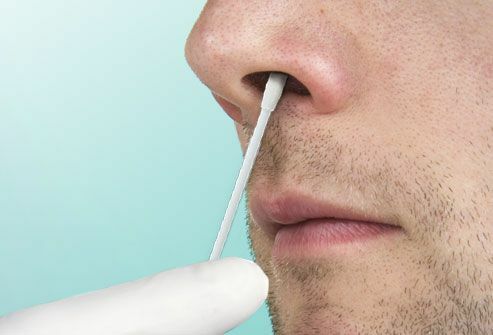 By taking a nasal or throat swab, your doctor can often tell if you have the flu virus, usually within 30 minutes or less. If the test shows you have the flu and your symptoms started within the last 48 hours, your doctor may suggest antiviral medicine to help you recover faster. These medications can make you feel better and shorten your illness by 1 to 2 days -- especially if you start them within 2 days of getting sick. Over-the-counter products can also lessen some symptoms like a cough and congestion. Read labels and instructions carefully so you understand what the meds do and how to take them. 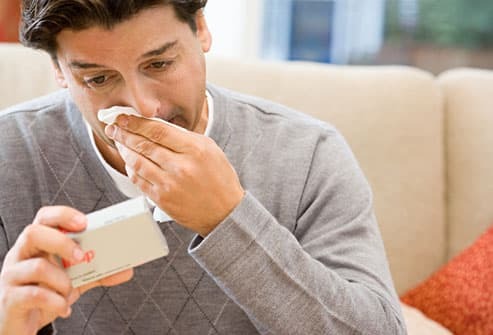 Drugstore medicines like decongestants, cough suppressants, and antihistamines can help congestion, coughing, and nasal symptoms. Acetaminophen, ibuprofen, or naproxen can treat pain or a headache. Read the active ingredients and warnings on all product labels. Many cough and cold medicines have the same ingredients, so you could accidentally overdose unless you're careful. Don't give aspirin to a child under 18. 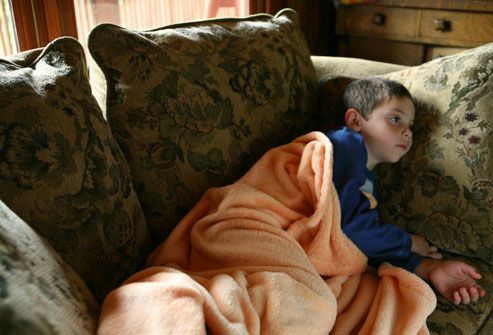 Using it to treat the flu has been linked to a condition called Reye’s syndrome in kids. Wash your hands well so you don’t spread the flu to other people. Use soap and warm water. Rub your hands together for 20 seconds. Don't forget the areas between your fingers and around your nails. Rinse and dry thoroughly. Alcohol-based hand sanitizers also work. Wash often during cold and flu season, especially after you cough, sneeze, or blow your nose. Can't find a tissue? Sneeze or cough into your elbow instead of your hands. Get a flu shot. It's made from proteins found on versions of last year’s flu. It helps your body be ready to recognize and fight when you're exposed to the real thing. The flu vaccine can't give you the flu! 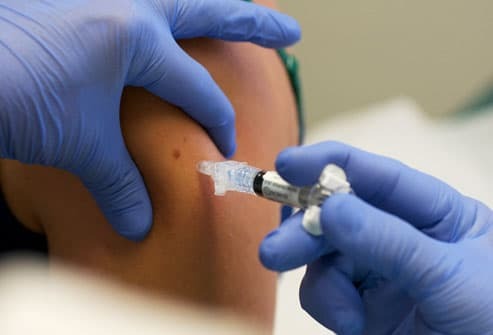 The flu shot is very important for children older than 6 months, pregnant women, adults 50 and older, and people with long-term (chronic) illnesses or weak immune systems. Some years, you can get a nasal mist version of the vaccine. 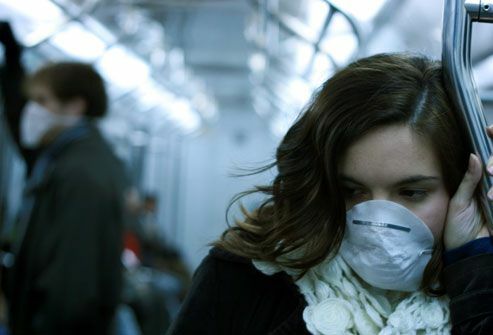 The swine flu pandemic officially ended in 2010. Vaccines protect against the swine and seasonal flus, which share many of the same symptoms: cough, sore throat, fever (although not everyone with the flu gets a fever), and body aches. 10) Gustoimages / Photo Researchers, Inc.
CDC: "Cold Versus Flu," "Influenza Symptoms and Laboratory Diagnostic Procedures," "What You Should Know About Flu Antiviral Drugs," "Questions and Answers: Cold versus Flu," "Questions and Answers: Swine Flu and You," "Key Facts about Swine Influenza (Swine Flu)," "CDC Clean Hands Campaign," "Clean Hands Save Lives," and "Stop the Spread of Germs." FDA: "Colds and Flu: Time Only Sure Cure," "Hand Washing." UpToDate: "Clinical Manifestations and Diagnosis of Influenza in Adults," "The Common Cold in Adults: Diagnosis and Clinical Features," and "The common cold in children: Clinical features and diagnosis." MMWR Recomm Rep: "Prevention and Control of Seasonal Influenza with Vaccines."